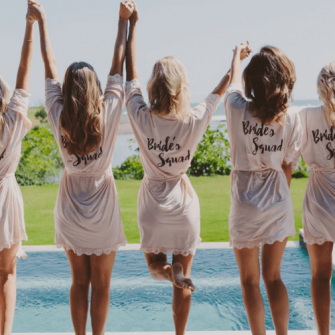 Want to read Wedding Journal on-the-go? Get Your FREE TICKET to the WEDDING JOURNAL SHOW in the Citywest Convention Centre in Dublin on 22nd & 23rd September and the Titanic Exhibition Centre in Belfast on 29th & 30th September. With everything you need under one roof from over 300 wedding suppliers this is an unmissable event! Whether you want to find your dream dress amongst those on show on the bridal catwalk, are looking for invitations, photographers, transport, catering, venues or honeymoon ideas – you will find all of this and more at the Wedding Journal Show! Plus, one lucky Dublin couple and one lucky Belfast couple have the chance to win a Dream Wedding worth £35,000/€35,000 which includes a luxury honeymoon staying at Raffles Seychelles and flying business class from Dublin to the Seychelles with Ethiopian. Discover the winners and finalists of this year’s WEDDING JOURNAL READER AWARDS. These are the top venues and suppliers across Ireland as VOTED BY YOU, and we reveal everyone you need to know to make your day extra special in our exclusive supplement! Other features of note include our NEW REAL-LIFE HONEYMOON which whisk you away to America as we follow Sara and John around New York, Las Vegas and san Fransisco. 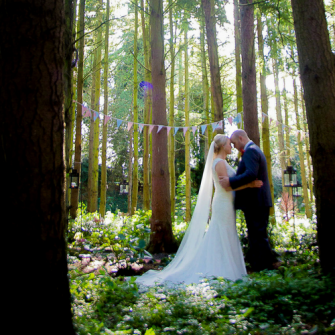 We also have four inspirational REAL-LIFE IRISH WEDDINGS, plus must-have SPEECH TIPS for EVERYONE and two gorgeous themes to inspire you as you PLAN your special day. 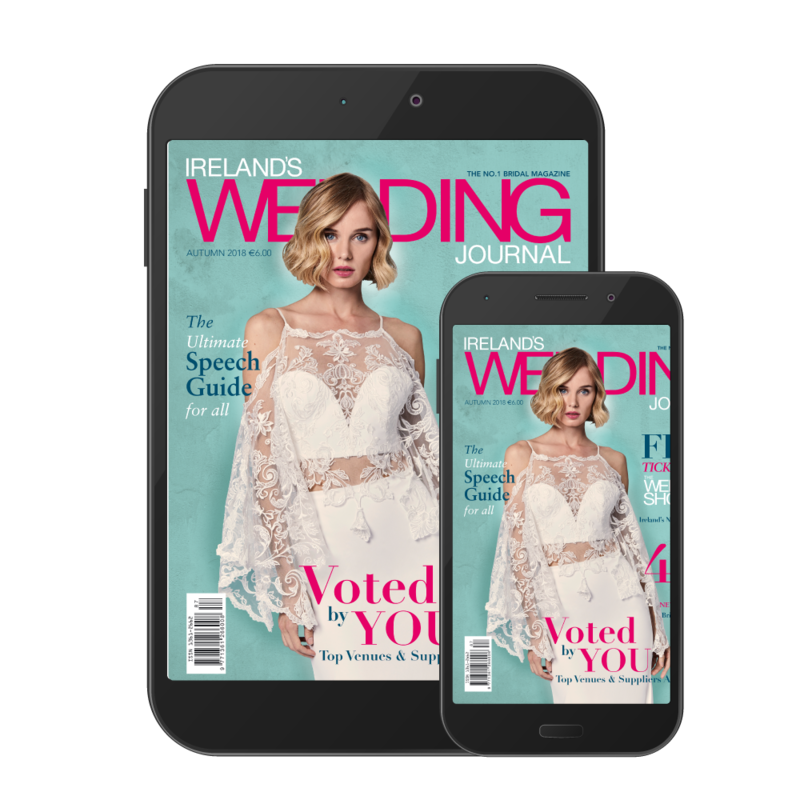 Ireland’s No.1 bridal magazine, Wedding Journal has been helping brides-to-be plan their perfect wedding since it was successfully launched back in 1996. Firmly positioned as Ireland’s most popular wedding magazine, with an ABC-audited circulation of 14,064, the magazine boasts a readership figure of over 80,000. 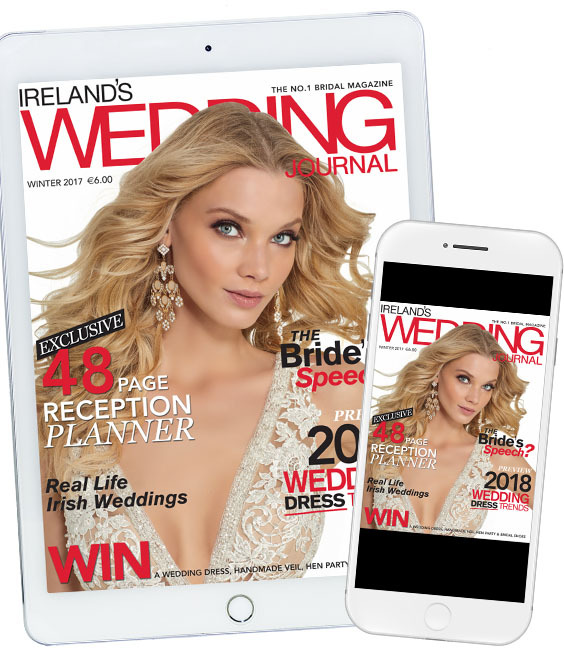 Published quarterly, Wedding Journal is sold in newsagents and supermarkets across the north and south of Ireland and has won a number of awards for its strong local content, stylish fashion shoots, informative articles and award winning design. This quality editorial is supported by advertising from the leading names in the industry including Debenhams, Galgorm Resort & Spa, Justin Alexander, Watters and Dessy, alongside local boutiques and Ireland’s leading wedding suppliers.Our winter issue is a seasonal special, packed with bridal fashion, 2018 wedding trend reports, local weddings, honeymoon locations, beauty advice and planning articles, dream gowns…in fact, everything a bride-to-be needs to plan her perfect wedding day. Enjoy FREE delivery to your door every issue. 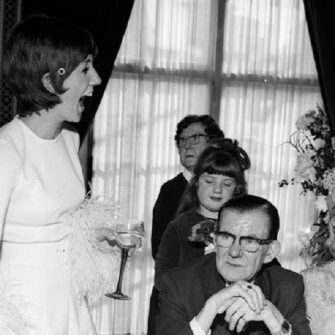 Get Wedding Journal before it hits the shops. Four print issues for £30/€35 PLUS FREE digital editions worth £9.99/€12.